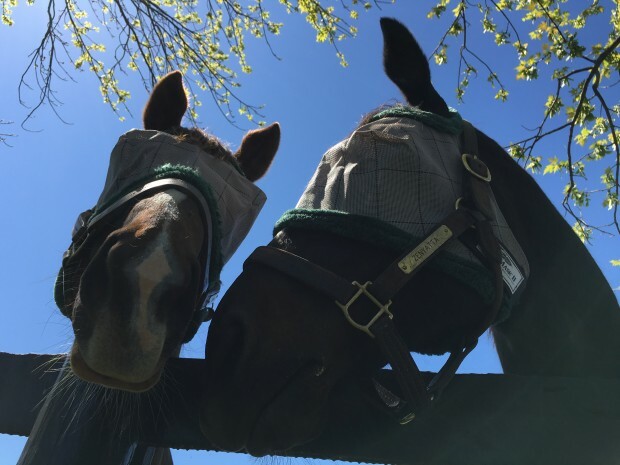 Zenyatta and paddock mate, Vixana, in matching fly masks. Photo by Ann Moss. Friday Photos is back! 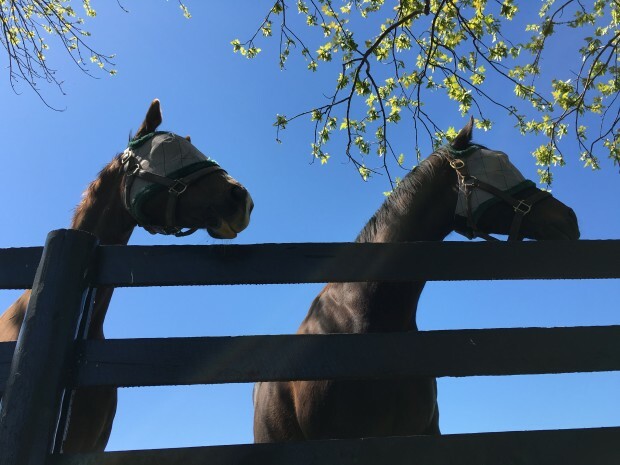 Today we’re sharing photos Ann took during her stay at Lane’s End. 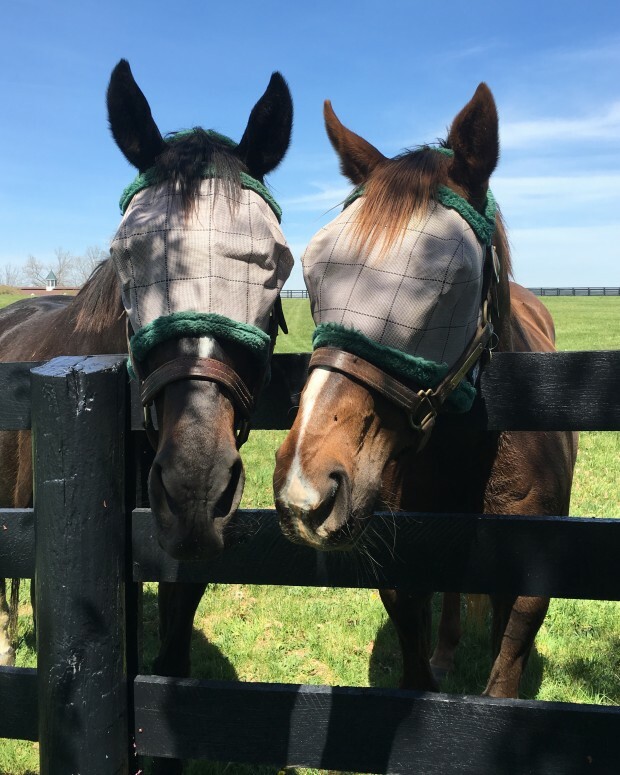 Zenyatta and her paddock mate, Vixana, proudly show off their matching fly masks. Come back on Monday for Ann’s videos of these girls. Ann with Zenyatta. Photo by Mike Cline. would change jockey by either having Gary Stevens back or someone else. Victor is great. Gary Stevens did a marvelous job with Ziconic. He has great potential. 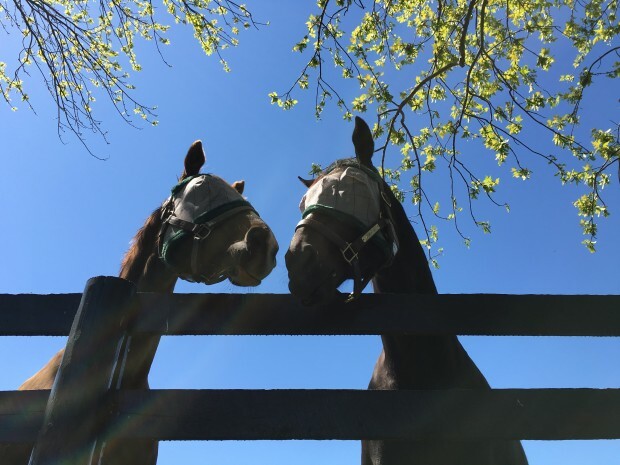 Love the picture of Ann & Zenyatta together. They are both stunning!.. 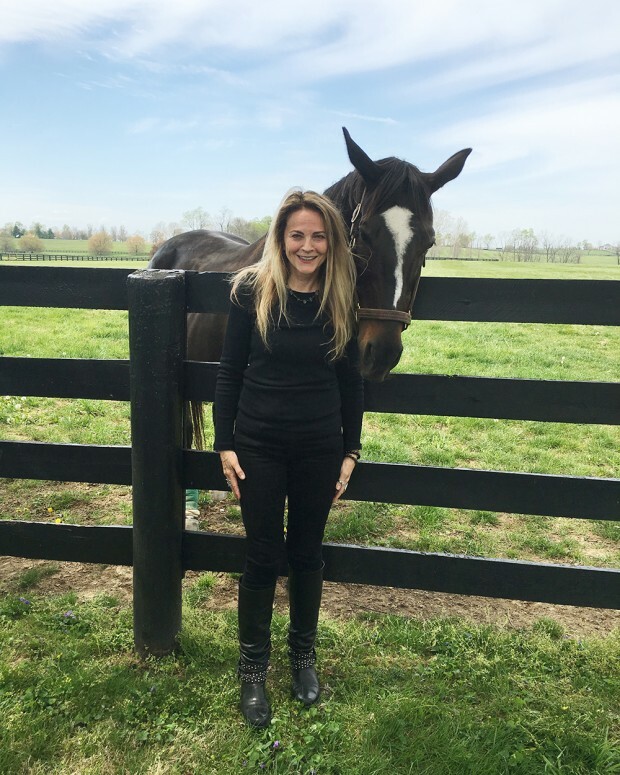 Sweet picture of Ann and Zenyatta. You can see the love they have for each other. 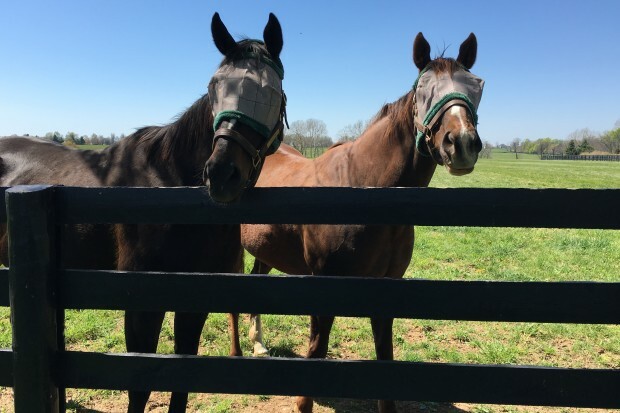 Loved the photos of Zenyatta with her friend Vixana. Hope they get to stay together. Again, thanks for the updates and pictures. Ann, those photos are adorable! 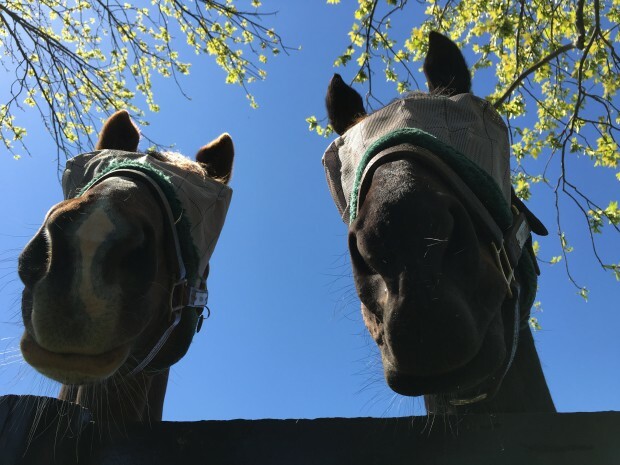 what cute noses, LOL. I laugh as I view the photos. We all need a laugh, and, Ann, you gave us an “ohhh” and a smile today. So cute with your mask on. with one on here in Maine. 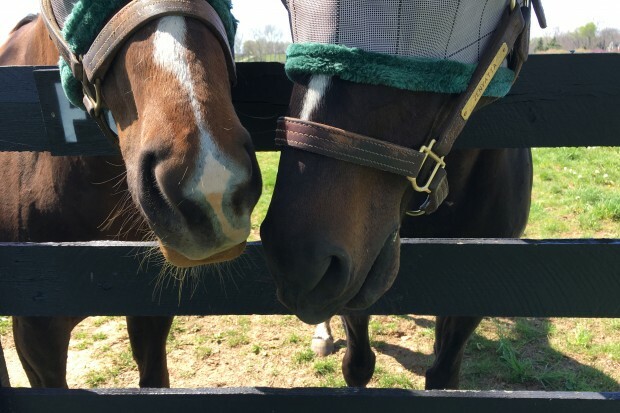 Kisses and love to you, Zenyatta! Will be watching Rachel’s Valentina today.